Serving all of Long Island and Fire Island. Bed bugs (the tiny blood-sucking insects) have become an epidemic here in New York City. These nasty pests have invaded even the cleanest, most expensive apartments in neighborhoods around New York City. In NYC they have been found in homes, apartments, shelters, and even in 5 star hotels! So it is clear that bed bugs are both a serious concern at home as well as a serious travel concern. Because these tiny insects are difficult to spot and are great in numbers, it is important to employ a professional bed bug exterminator. Bed bugs are spread very easily and can hitch a ride into your home on you, your family, or your pets. When traveling or staying out of your home for long periods of time, Pest Pro Exterminatingrecommends you take necessary precautions so that you do not experience an infestation. Bedbugs are of the insect family Cimicidae. They are oval in shape, flattish and grow to about the size of a small apple seed. They are light in colour and hard to detect. After they have fed on blood however, they will become dark red and easier to spot. 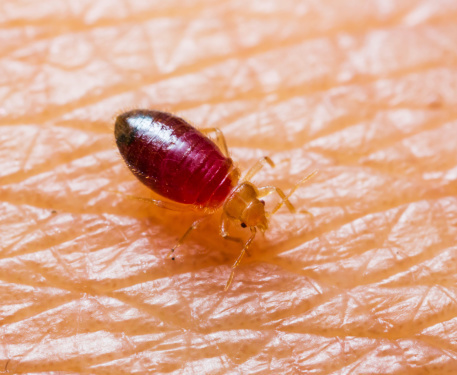 Bedbugs come out at night and will feed on your blood for up to 5 minutes at a time! After the feeding frenzy, they will scurry back to whatever hiding space they came from: clothing, picture frames, creases in the mattress, in electronics, etc. Left untreated, bed bugs can spread quickly in multi-dwelling housing. Both Housing and Health Codes require that property owners address infestations promptly. The surest strategies to keep bed bugs from spreading are prevention, early detection and rapid treatment. Yellow Jackets, Hornets, and Wasps, Oh My! We're available to help you 24 hours a day, seven days a week.